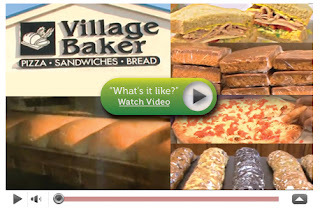 $5 for a $25 GC at Village Baker in West Jordan! Today you can get a $25 Gift Certificate to Village Baker for $10! PLUS when you sign up you'll get a $5 credit...SO $5 for $25 worth of food! WAHOO! Not close to West Jordan?? I've heard that there are more deals around $5 coming up so sign up now to get your $5 credit so you'll be ready to get some FREE stuff. This is not too far from me and my neighbor raves about it. Thanks for sharing the deal.